Saturday, January 3rd at 7:30pm. Admission is free, but donations are appreciated. Doors open at 7:00pm. 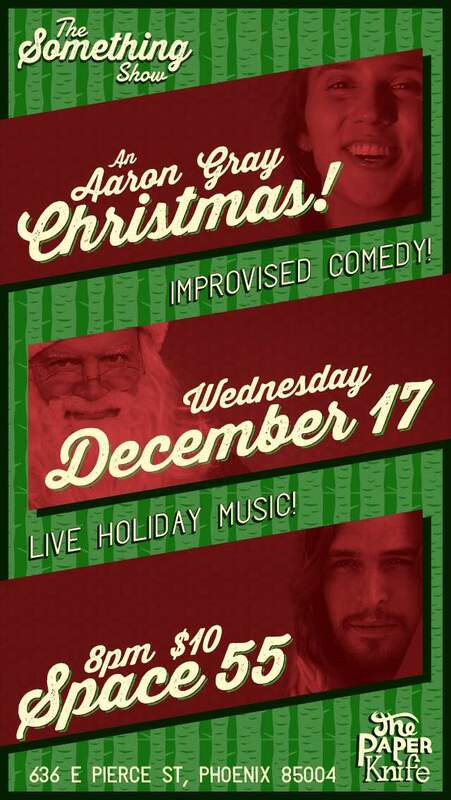 Show starts at 7:30pm. Ages 21 and up. Based on the popular podcast. 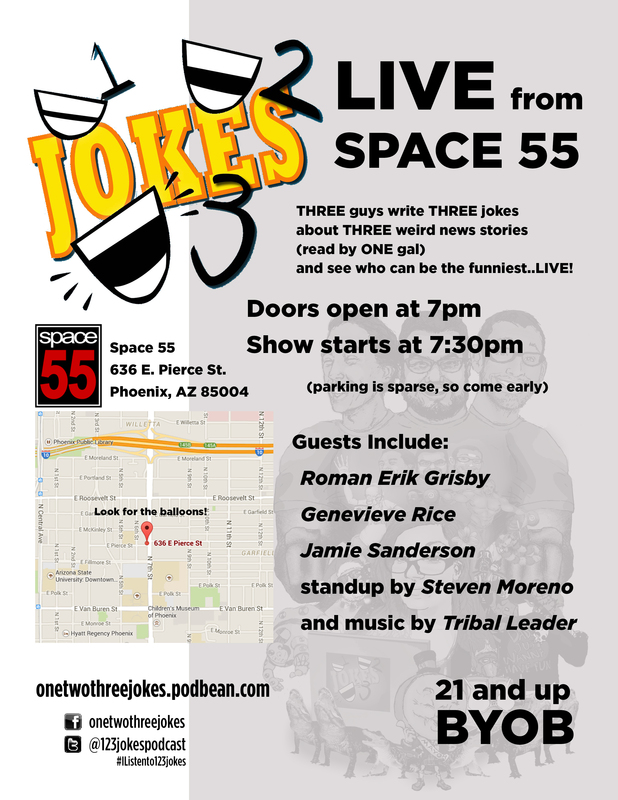 Three guys write three jokes about three weird news stories (read by one gal) and see who can be the funniest…LIVE! *Please note that this is a guest event produced by a renter of the facility. 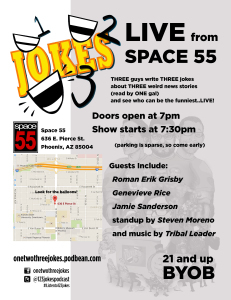 Space 55 passes and discounts cannot be applied toward this event.